Independently owned British business, Higher Nature, has over 20 years of experience in pioneering nutrition, creating unique and effective supplements for optimum health. 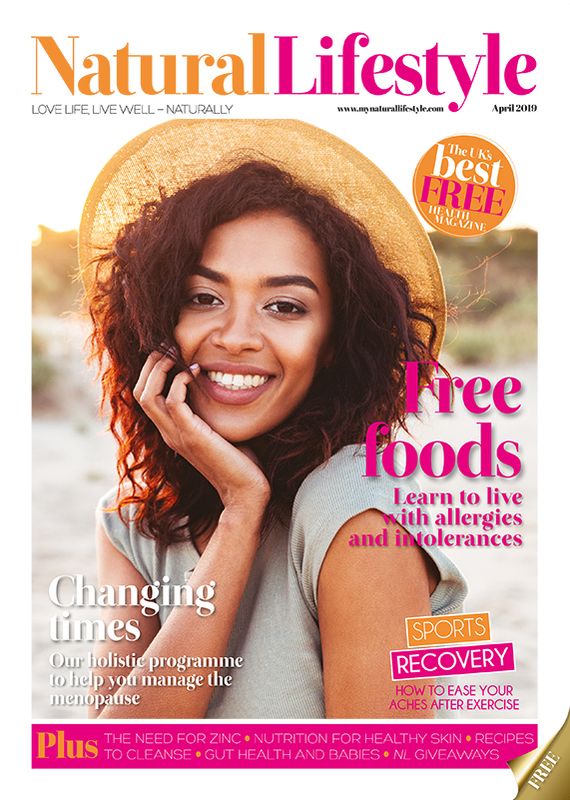 After the successful launch of their ‘Kidz’ range, Higher Nature continues to develop products suitable to specific life stages – including a pioneering range formulated specifically for teens and young adults. The first of its kind, these Multi Vit Shots take the form of ‘dissolve-on-the-tongue’ sachets of cherry cola flavour powder – not dissimilar to sherbet straws, minus the sugar content! These shots contain 19 multivitamins and minerals especially suited to young adults and their needs; iron and vitamin C contribute to the reduction of tiredness, while vitamins D, B6, B12, zinc and selenium contribute to normal functioning to the immune system.the top. Then, you just tip the contents onto your tongue and voila! 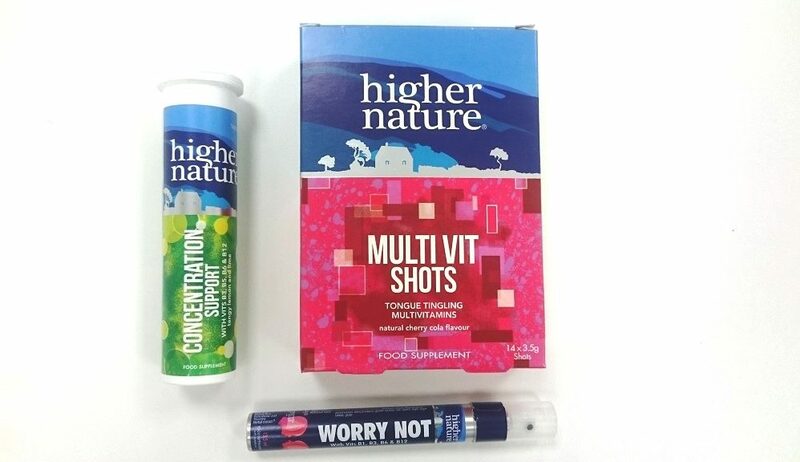 Higher Nature describes the Multi Vit Shots as ‘tongue tingling’ – and they aren’t wrong. Straight away after tipping the contents of the sachet onto my tongue, the mixture fizzes and bubbles up like sherbet and it might make your eyes water a little bit. I can certainly see how the taste and experience would appeal to teens and young adults. Now I’m going to have to give you a little too much information (apologies in advance). A couple of hours after trying my first ‘shot’ I started to notice that my urine had turned a most alarming shade of bright yellow. After a brief panic, I soon realised that it was a result of taking the multivitamins earlier that day. On consulting the back of the box, it does clearly state “B vitamins may turn urine bright yellow – this is normal” – ah, panic over. It can be difficult to get teens to take a daily multivitamin, especially those who dislike taking tablets, so I think this product is a really fun and novel way for young people to get their daily dose. These effervescent tablets are ideal for use during periods of stress or when concentration and focus is a must – such as exams. With vitamins B3, B6 and B12, which contribute to the normal functioning of the nervous system, and vitamin B5 which contributes to normal mental performance and the reduction of tiredness and fatigue, just drop a tablet in a glass of water for a caffeine-free alternative to stimulant drinks and supplements. Each tablet is quite large, so it takes a few minutes to dissolve completely once dropped into a glass of water, which looks like a glass of fizzing cloudy lemonade once ready. With a tangy lemon and lime flavouring, the drink smells and tastes lovely – like a slightly less sweet, but tasty nonetheless, lemonade drink. I must say, I’m not usually a fan of effervescent tablets, but I could drink this quite easily; it tastes really good, it dissolves completely without even having to stir, and it’s much better for you than sugar or caffeine laden ‘energy drinks’. Not actually part of Higher Nature’s ‘Young Adult’ range, this handy little wonder-spray is designed to be kept by your side for those moments in life when you feel anxious or overwhelmed, whatever your age. The spray is made up of a supportive blend of amino acids, B vitamins and herbs; vitamins B1, B3, B6 and B12 contribute to the normal functioning of the nervous system and normal psychological function, while lemon balm and passionflower are known for their relaxing properties. Also included is lavender, magnolia bark and theanine, a relaxing amino acid which naturally occurs in green tea. The directions instruct you to spray eight times into the mouth as and when required, so I have been using this product whenever I felt stressed or anxious – something I do suffer with at times. The taste is pleasant; it has a natural strawberry and vanilla flavour and is sweetened with tooth friendly xylitol. After each use I do feel calmer and more relaxed, and I’m able to put my worries into perspective, so I will definitely be carrying this handy little tube around with me. It also puts my mind at ease to know that the product is completely natural, so it isn’t addictive and doesn’t have any unpleasant side effects to worry about. Overall, I think Higher Nature have come up with some really innovative and fun ways for young people to consume vitamins. I know that when I was in school I’d have much rather tip a sweet fizzing powder onto my tongue, or drink a lemony soft drink, than swallow tablets every morning. Visit your local independent health store or head to www.highernature.co.uk to find out more. Amelia loves trying new beauty products, in particular hair and skincare that leaves her feeling fresh faced and ready for the day ahead. She is also a keen baker and loves incorporating healthy alternatives into her experimental dishes to the joy of her colleagues.